Associated Builders and Contractors, Inc. (ABC) has awarded RLH Construction an Eagle Award in the Commercial ($5 to $10 million) Category of its annual Excellence in Construction competition. The 30,000-square-foot Aristocrat Volkswagen East project is the 2nd design-build VW “White-Frame” prototype in the United States. The entire 11-acre site was previously wetlands. Once mitigated, a 1,500-lineal-foot segmented block retaining wall was installed with heights varying from six to ten feet. 56,000 cubic yards of import fill (approx. 2,889 dump trucks) was placed. A naturally-occurring stream was routed underneath the site and conveyed through two 60” RCP. 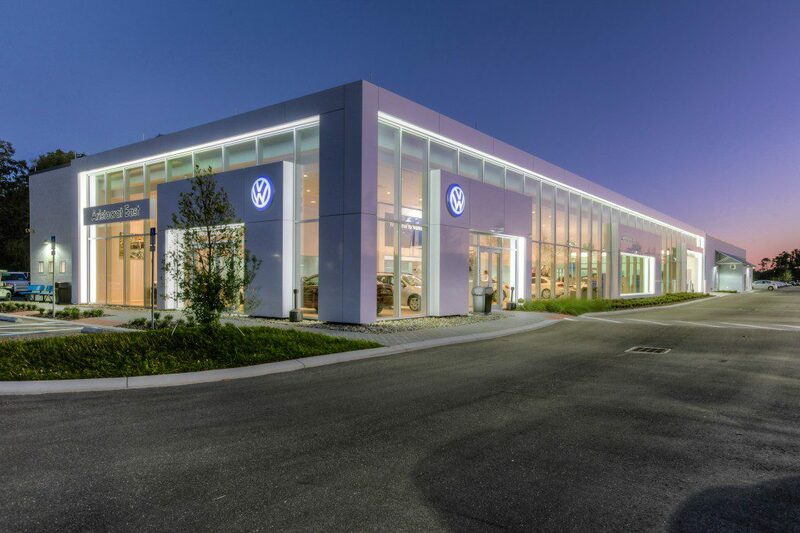 Meeting the stringent specifications of VW North America, this project was delivered in nine months, on time and under budget. The Excellence in Construction Awards program recognizes the exceptional work for an entire construction project for general contractors. Projects are judged on execution of design, quality of craftsmanship, attention to detail, proper installation, outstanding coordination efforts, challenges successfully overcome, project complexity, custom materials, safety program, and owner satisfaction. The Eagle Award is the Central Florida Chapter’s highest recognition. Read more about the Central Florida Chapter of Associated Builders and Contractors. Associated Builders and Contractors, Inc. (ABC) has awarded RLH Construction a Gold Level of achievement in the Safety Training and Evaluation Process (STEP). The award recognizes RLH for our ongoing efforts in the development of a quality safety program for 2013. This is the fifth year in a row RLH has qualified for the Gold Level STEP Award. The STEP program was developed and written by contractors, for contractors. It is a way for companies to enhance their safety and loss prevention programs and provides objective methods to measure safety performance. For more information about the STEP program, visit ABC’s website. We’re honored to be named Commercial Real Estate Women Orlando’s 2012 Company of the Year! The award is given to a firm recognizing its outstanding accomplishments and contributions to the chapter. CREW Orlando represents key decision makers in virtually every discipline of commercial real estate. To find out more about CREW Orlando, visit www.creworlando.org. Congratulations to Kathy Pagan, accounting director at RLH Construction, for being named a finalist in the Orlando Business Journal’s 2012 C-Level Awards, CFO small business category. 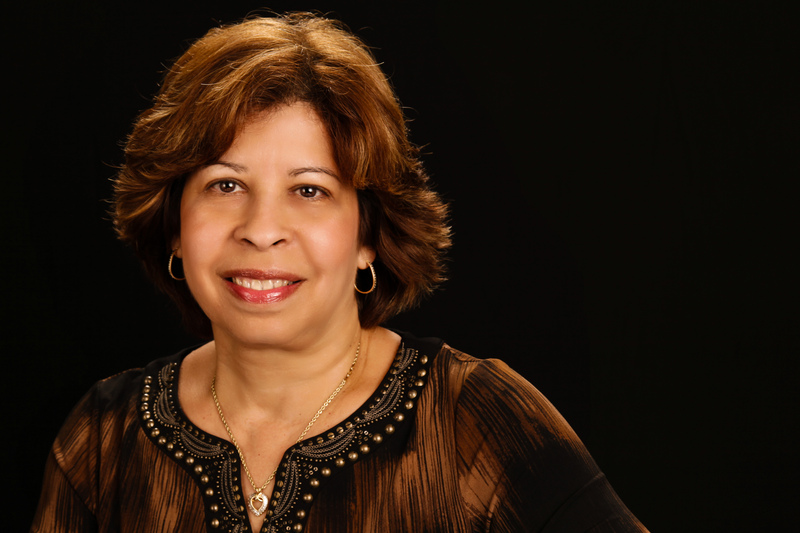 Kathy was recognized for her outstanding contributions to the firm’s overall financial health and strategic initiatives that she’s implemented over the years.